Wipes - Another obvious one. I took out the giant thing of wipes I was carting around and instead switched to keeping a small pack of wipes in the diaper bag. I put the big tub of wipes in the van since obviously if we're taking the diaper bag, we're going in the van. Plus, they're multipurpose and can be used for cleaning up not only baby messes but also for big kid (or adult) spills, taming unruly hair, and wiping dirty faces and hands. Change of clothes for baby and other kid(s) - I always keep two sets of clothing items for baby in the diaper bag - a simple onesie and another outfit, just in case. I also keep an outfit and change of undies for my four year old. (As a side note, you never know when somebody else may need to borrow something! A friend of my daughters had an accident the other day at our Book Club and those extra undies came in handy!) Although it would be nice to pack a change of clothes for Zeke (my oldest) too in case of spills or something, I'm choosing not to as he usually packs his own stuff and because his stuff takes up a lot of room. A few toys - Our diaper bag toys are things the kids only have in the diaper bag. That way when we are out and they're getting restless, I can pull something out that's "new" and it will (hopefully) keep them entertained. I kept in our bag: an "I Spy" busy bag, a few books, a few little action figures, a teether, and the plastic rings Zac loves. A wet bag - SO handy. My friend made me one that is a simple little water resistant (and washing machine friendly!) bag with snaps to store used cloth diapers in but it also works for disposables if you have nowhere to get rid of them, clothes that have been peed/puked on, etc. It's a must have. My nursing cover & a blanket - My nursing cover is at the top of the bag for easy grabbing when out and about. I also pack a receiving blanket - they're another multipurpose item that can be used for extra coverage, to warm up baby or another kiddo, to catch a spill, or to spread out for baby to lay on. 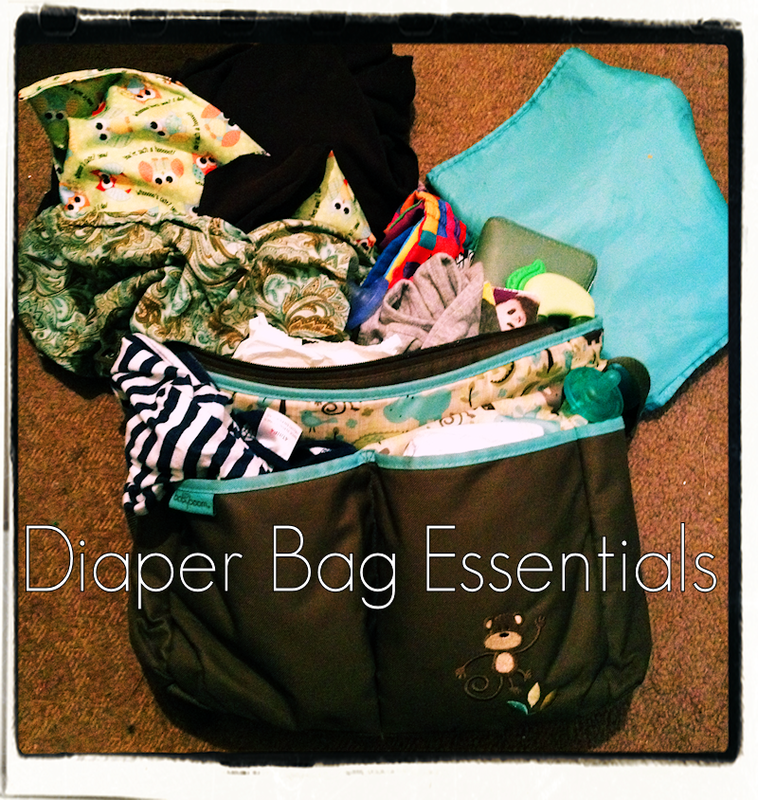 Miscellaneous baby/momma items - There's a few other little items that go in the pockets of the diaper bag: a couple pacifiers, two sets of breast pads for leaks, a few snacks, a hair tie, a few Band-aids, and a fold-able changing table pad. Excess stuff - This included extra toys, crayons, extra onesies, loose change, lotion, spare socks, and napkins. The loose change got put in the kids piggy banks, the napkins got put in the van, and everything else went to its proper place in the house. Moby Wrap - I absolutely love my Moby wrap. It is such a helpful tool and I can't believe I didn't use one with the other kids. BUT it takes up a huge amount of room in the diaper bag. So it still goes with us, but get carried separately - outside the bag. My wallet, planner book, lip gloss, pens, gum, etc. 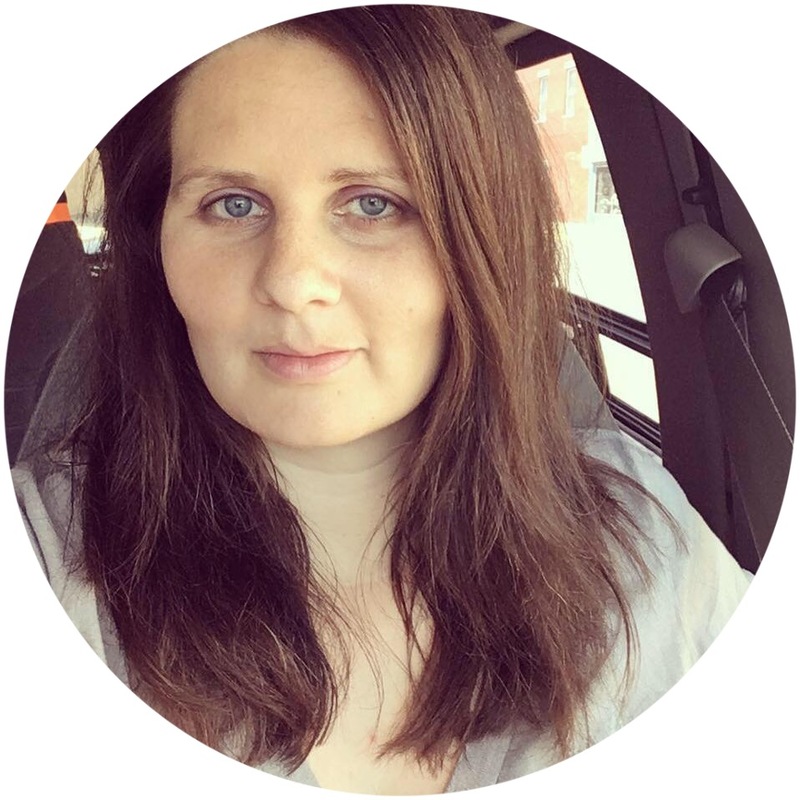 - I had relegated all my junk to one section of Zac's diaper bag and although I don't take a lot of stuff with me, it was adding up. I initially thought I would be helping myself out by combining and not having to carry a purse and a diaper bag but that wasn't the case. I now have my stuff in a small purse that I just throw over my shoulder along with the diaper bag and it's really not a big deal. So I'd like to hear from you - what are (or were) your essentials for the diaper bag? Did I leave anything out? I also keep a little baggie of snacks in mine. My son is only 8 months old and I'm breastfeeding so that's his main food source but we've started purees and some finger foods. I'm not sure if you've seen those little star shaped rice crackers ... I think they're called Puffs. I throw a baggie of those in there for times when we might be out past the time he would normally have some solids. I imagine snacks will become more important as he grows haha!